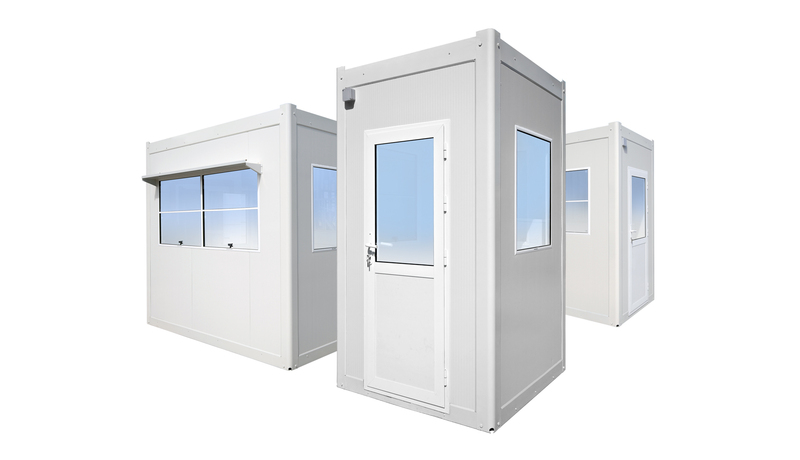 Backed by skilled professionals, we are instrumental in providing a comprehensive range of Security Cabin that is facilitated with all the basic and modern amenities like proper lighting, air conditioner, furniture etc.. 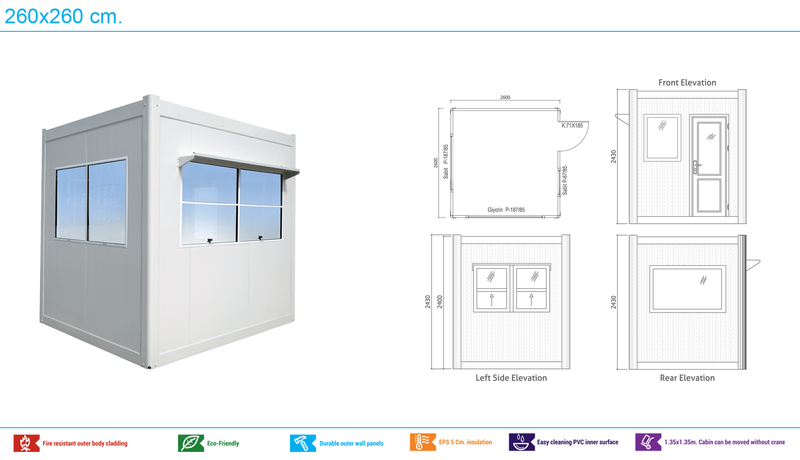 While designing this cabin, we make use of the best quality raw materials keeping in mind the latest market trends. 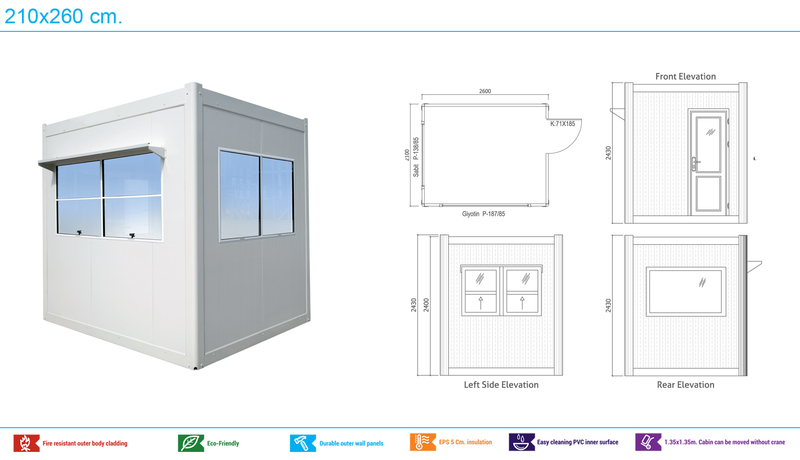 Before delivering this cabin to our clients, our professionals thoroughly test this on various parameters to ensure its flawlessness. 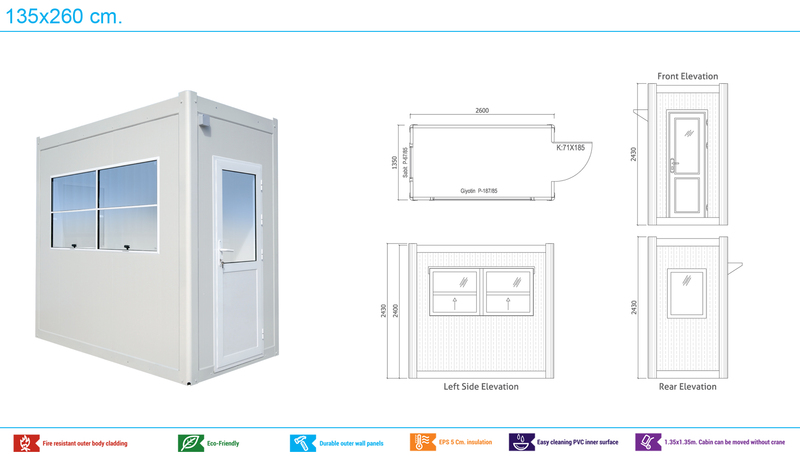 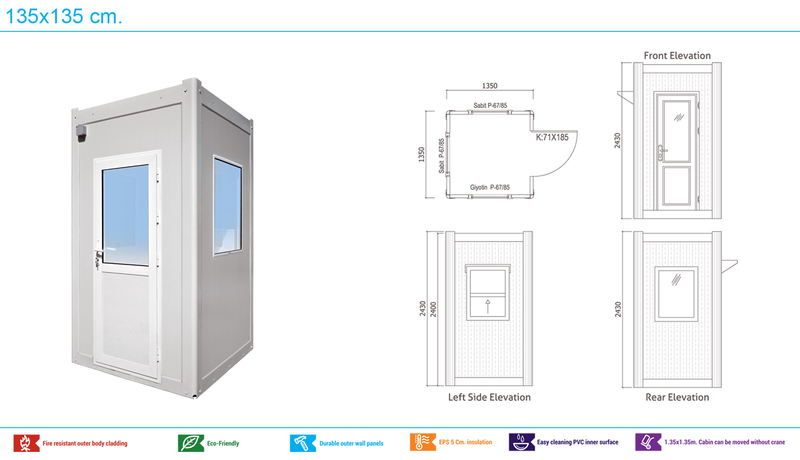 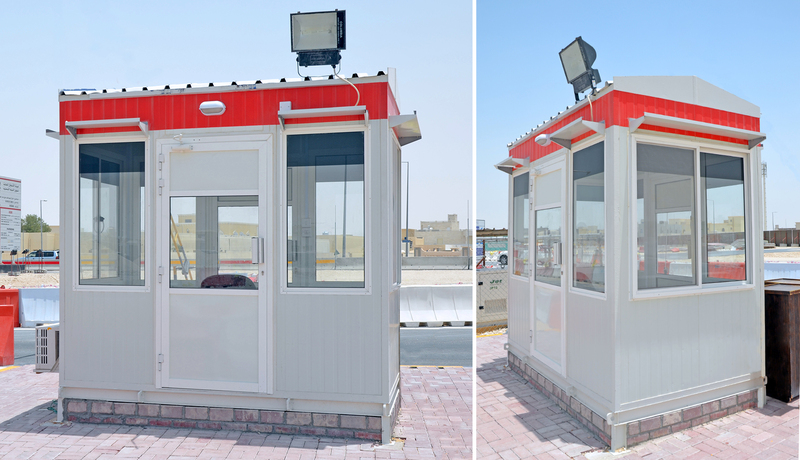 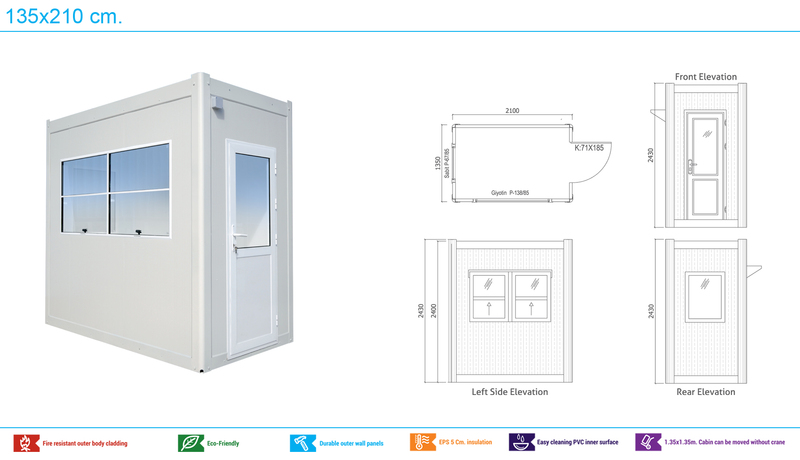 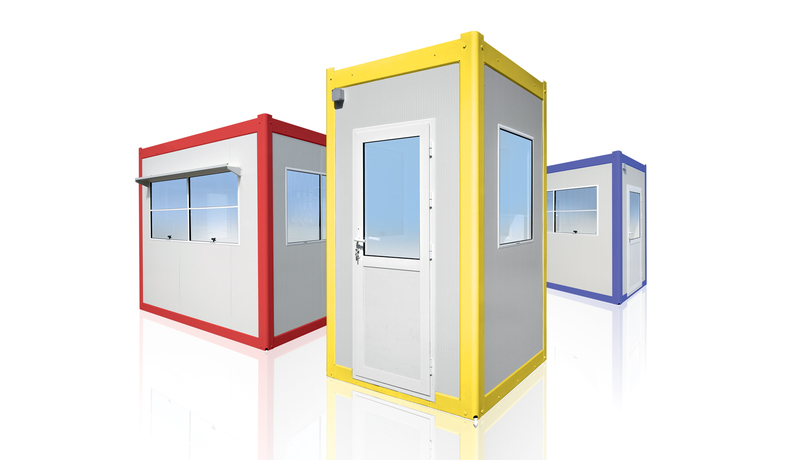 These Security Cabins can be easily shifted and reused at different locations and can withstand adverse weather conditions. 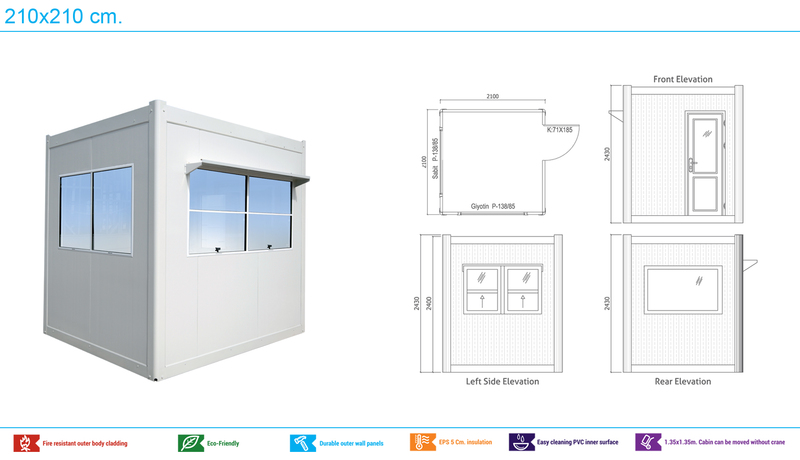 Flooring: Galvanized U section cold formed profiles covered with 16mm fire rated and moisture resistant fiber cement board.